Okay, I have to admit. I didn’t get everything done that I had planned. No real surprise to anyone that knows me. But I had a productive weekend even if I didn’t finish all my projects. In the morning I helped Ben in the workshop. I hadn’t planned on doing any woodworking, but I would never turn down an opportunity to work with either of the boys. The two boys are working on building a gift, and there isn’t much time before it needs to be done. I cut the big boards up to size and helped Ben on the bandsaw (he is still a little timid with the bandsaw – rightfully so). 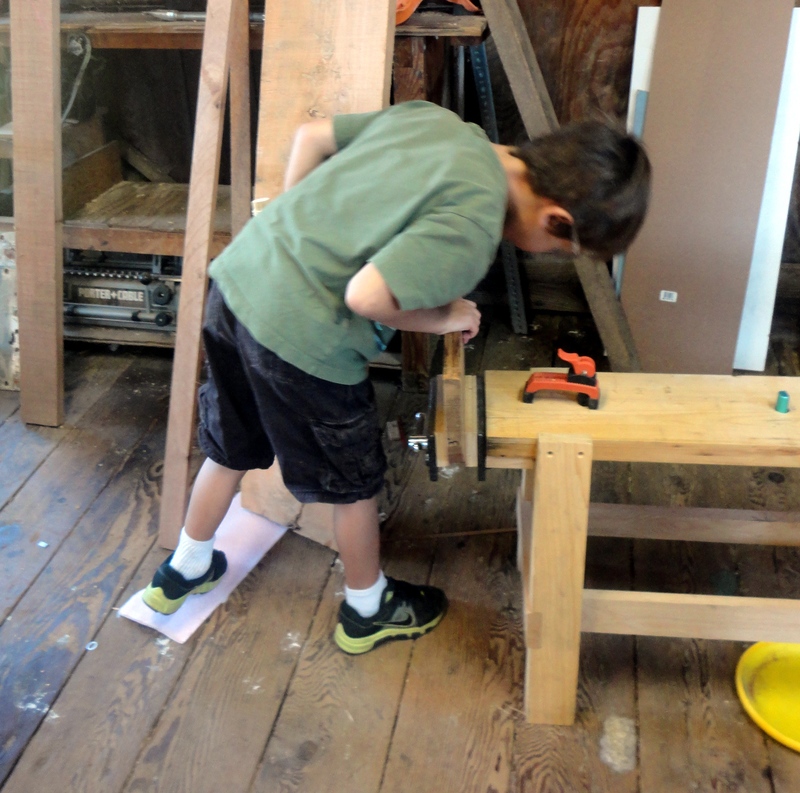 Next, all three boys took turns using the hand saws to cut out notches needed in the project. 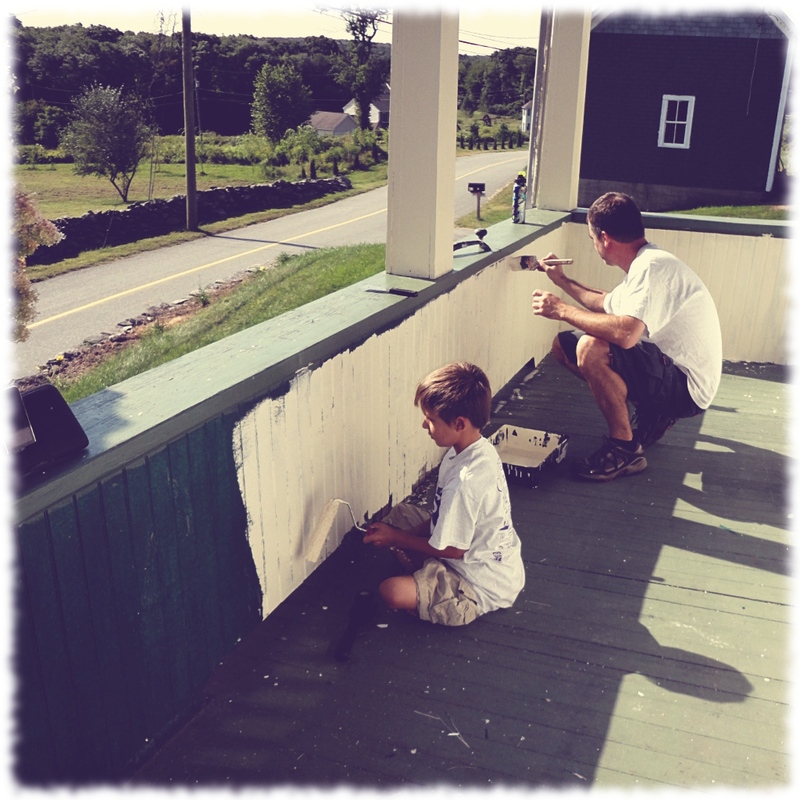 Will and Ben even sanded for a bit (something no one likes doing -so good luck getting an 8 year old to do a good job sanding). 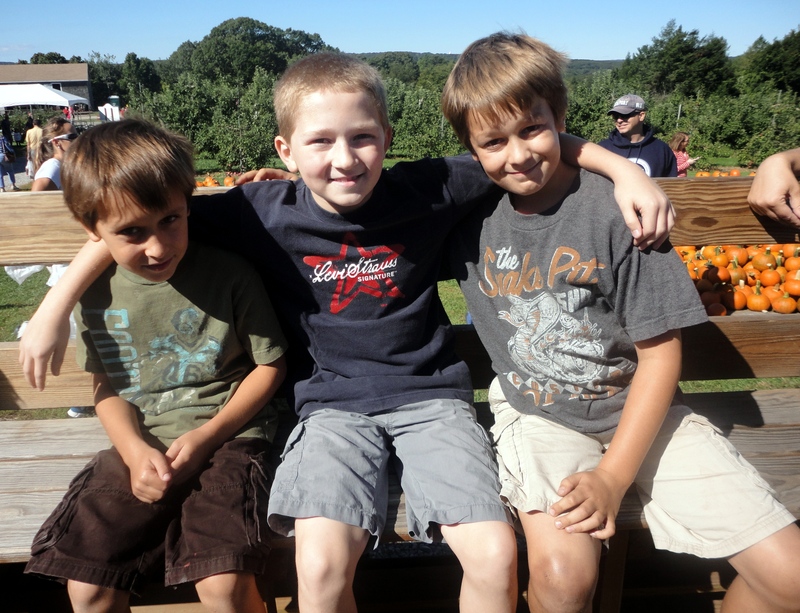 I didn’t skip apple picking. Will had a friend sleep over on Saturday night. He lives pretty close to the apple orchard, so when we all went apple picking on the way to dropping him off. After a quick stop by home to drop Ben off, Will and I headed up to Home Depot and Target. Will had to get a present for his brother’s birthday, and I needed to rent a jackhammer to smash up some ledge that was in the way of running power to the garage. I didn’t get power to the garage. I did get the ledge out of the way. The next step is to run the wiring and cover the trench. 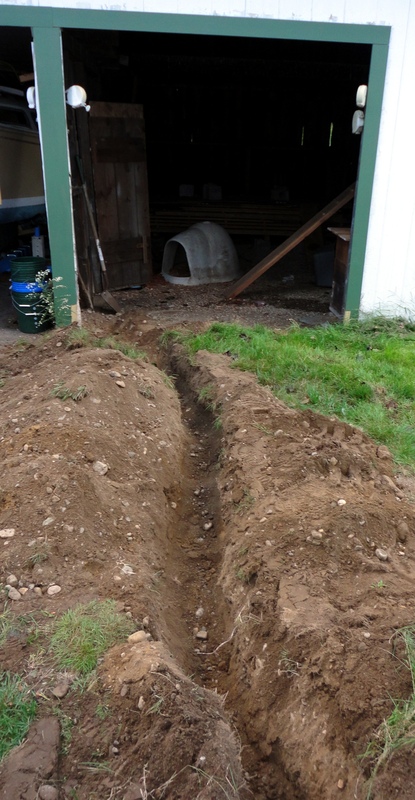 I also got the big trench filled in. I will probably need another 1/2 yard of topsoil to level out the area, but otherwise it is done. I almost finished tying in the gutter downspout to the drain – but I needed another trip to Home Depot to get the right parts, and I wasn’t about to do a third trip today. Ben checking his saw cut depth. The boys both use Japanese pull saws for hand work - they find them easier than western style saws. And to finish off the busy day, Ben and I went for a short bike ride. Will decided to stay home and read. 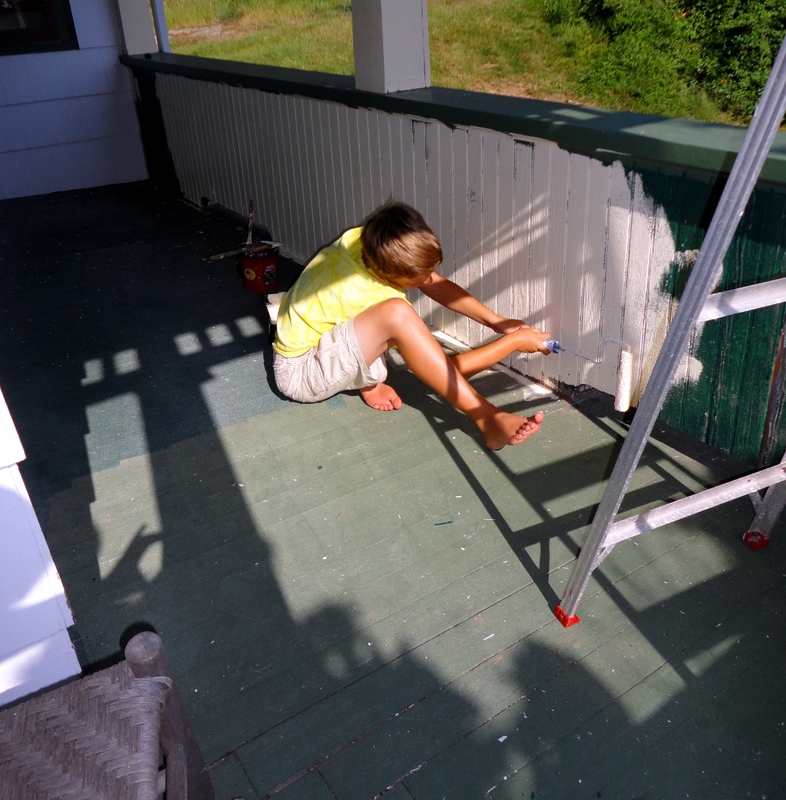 Susanna split the day between doing homework and painting the house. The house is starting to look nice – our neighbors have been stopping by to tell us how much they like the new color scheme. My house goals for the week are to finish the gutter downspout (tomorrow) and run power to the garage (maybe tomorrow and Tuesday). Tomorrow should also be the next step in the first batch of drunken cutting boards. Maybe I’ll be able to get the sailboat out of the garage this weekend – nothing like wishful thinking. I’m taking a weekend away from the major renovations to work on some “quick” projects. Thankfully Susanna isn’t taking a break from the major house projects. The morning was taken by the boys’ soccer games (they had fun, but were pretty well run over by the other teams). This afternoon I continued troubleshooting the invisible fence. I had worked on it for a while yesterday and the day before, but couldn’t find the break. And the beagle refuses to stay in the yard without the fence. On a side note, don’t ever bring your young kids to the humane society to pick out a dog with you – but that is a story for another day. I did get the fence working after a bit of work. 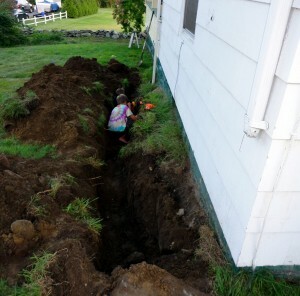 Then it was off to the box store to get parts for a rainwater drain system. I had to connect into an existing system that (I am assuming) was installed when the house was built 120 years ago. I got all the parts back home, and then promptly back to the store to get the connector that I almost got, but then figured I didn’t need. After laying the pipe, the boys and I started filling the dirt back in the trench. A tractor would be nice right now. But I could use the exercise. 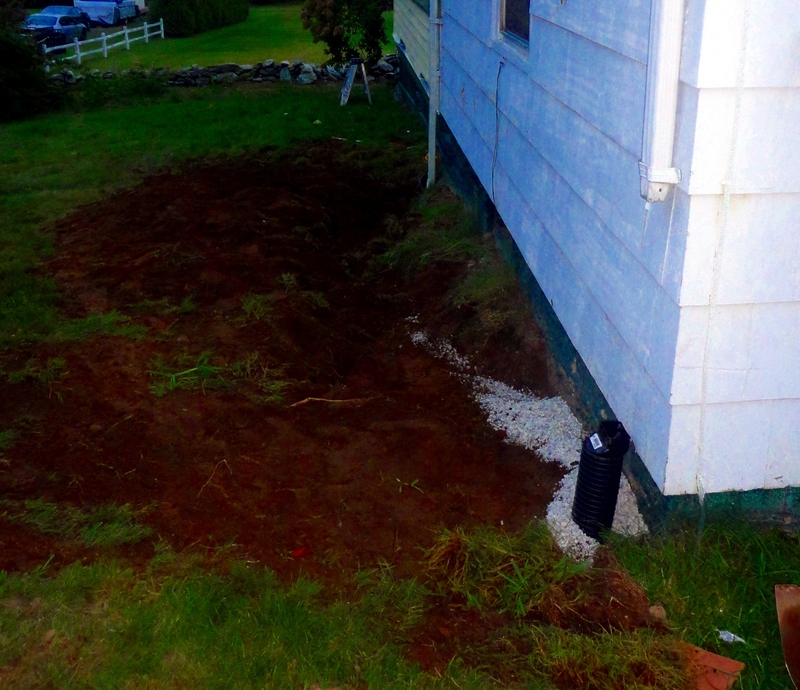 Tomorrow’s goal is to get power run to the garage, move more dirt back into the trench, and do a little painting. I’d also like to take the boys apple picking, and go for a walk. I’m pretty sure I can’t do all that in one day, so I’ll have to see what I can get done. This seems like a day to start projects. Though honestly I started this one a couple of weeks ago when I ordered the lumber. I am planning on building four sets of “drunken cutting boards” with three other people I work with. Today, Jim Russell came by after work and we cut up the maple and glued up the boards. We should be able to complete four boards per person (two pairs). We also cut up thin (1/8″) strips of cherry for the spacers. Next week I’ll document the progress on the cutting boards. 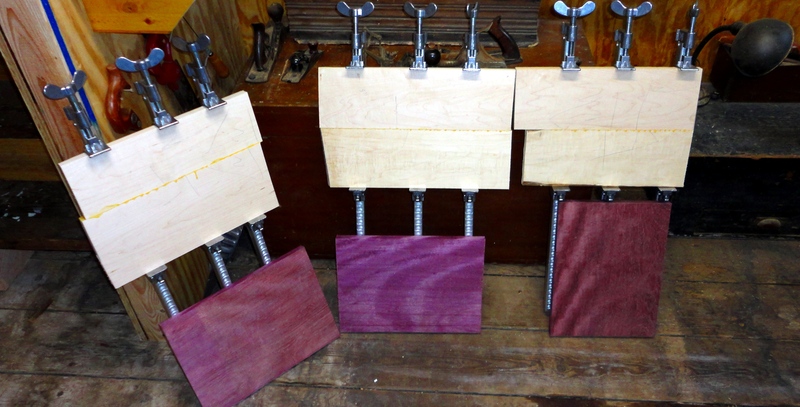 The next step is to make matched pairs of boards (one of purpleheart and one of maple). Then we will cut the first wavy strips and do the first glue up. I would like to think the reason that I’m awake late on a Saturday night (ok, early on a Sunday morning) is that Susanna and I are out enjoying a rare weekend night where the boys are with their mom. That isn’t the case. I’m sure if it were, I would have better things to do other than write on my blog. Heck, even on a slow night like this, I have better things to do than write on my blog. Like sleep. This is one of the joys of shifting one’s body 6 time-zones. My sleep schedule is all screwed up. One would think that flying back to the east coast after a week in Hawaii would cause me to stay up late and sleep in late (i.e. stay on Hawaii time). A red-eye flight from Honolulu to Dulles last night allowed me to get a full nights sleep and wake up at a reasonable east coast time. But it is rough sleeping on a plane, so I’m never fully rested. 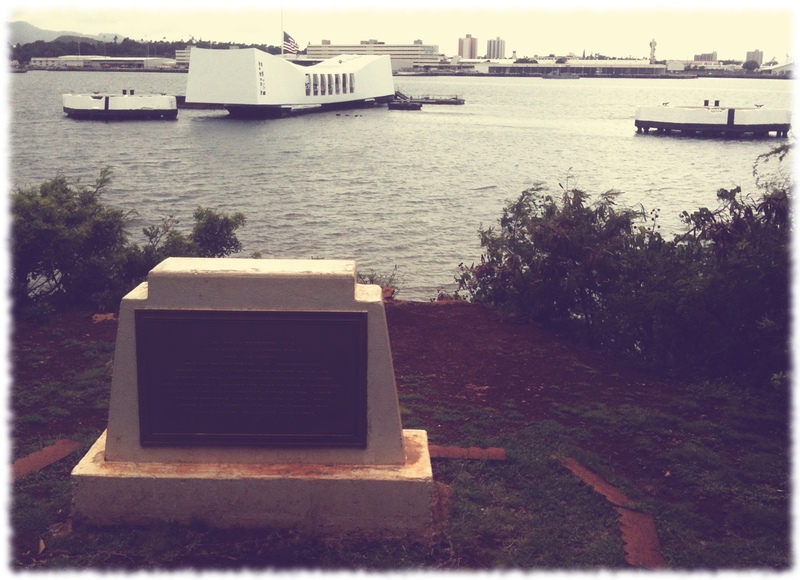 Second, my week in Hawaii was spent underwater on a submarine, which never helps one get on a fixed time-zone. 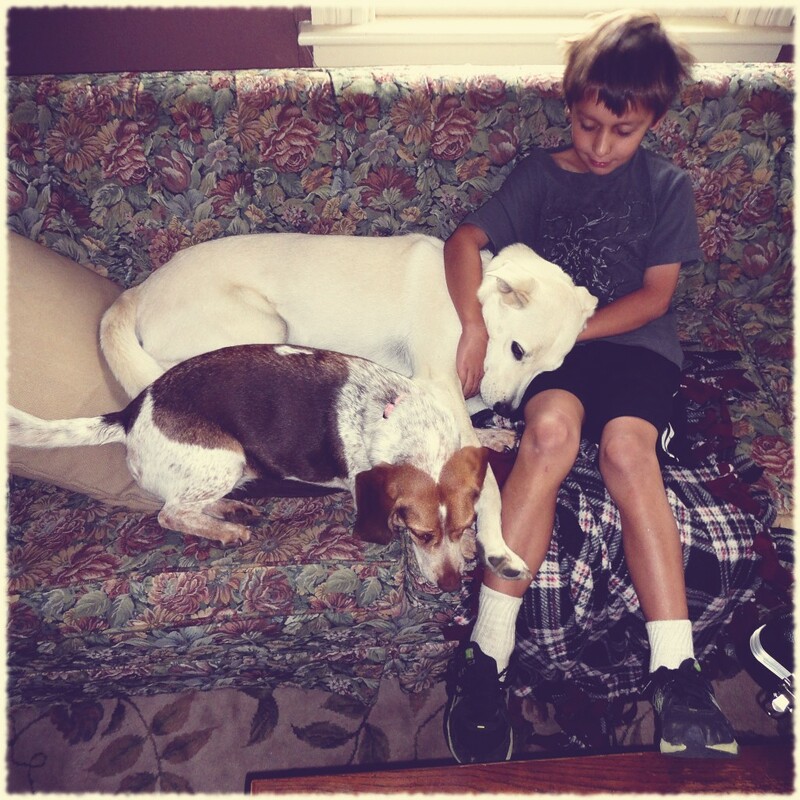 So here I am boring all three of my blog’s readers with my musings on my sleep patterns. Yes, I know, I found something more lame than woodworking to write about. Well done. I have started running again. I’ll see how far that goes. I have slowly built myself up to 5k runs – and my knees feel it. Hopefully I can lose a couple of pounds which will make the runs easier on my legs. I also ordered lumber online for the first time. I had ordered some small pieces from eBay in the past, but never the wood for a full project. I am planning on building several cutting boards (drunken cutting boards) with some of the guys I work with. The plan is to use purpleheart and maple squares, with cherry accents. I’ll post pictures of the build here. I ordered the material from Bell Forest Products the week before I left for Hawaii. The package arrived while I was gone, and I opened the boxes this evening. The lumber looks great. There wood is clear and straight. The iPhone pictures don’t do the wood justice (thought the purpleheart isn’t quite purple yet – it will age to purple in the sunlight). Purpleheart and maplefor cutting boards. Now time to head back to bed. I’m sure I’ll have to reclaim my place and move Tucker to the foot of the bed. Okay. I’m not talking about that far back in time. 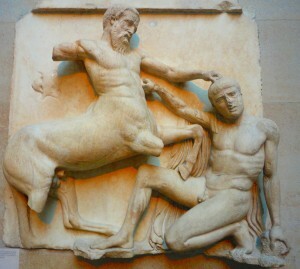 Though, I’m sure my kids think that I witnessed the carving of the statue to the left in person (with a little encouragement from Susanna no doubt). No, I do not lament for “the good old days.” I am a firm believer in the benefits of technology. Technology allows us to keep in touch with family and friends that are miles (kilometers for those in Sweden) away. I couldn’t imagine being able to do my job without using a computer. The Internet has made a trove of information (good and bad) available to us – I don’t think I could have so easily started my woodworking hobby without the resources available on the Internet. However, I think nothing comes for free. With the Internet and computers we are given content. It becomes easy to become lost in the sea of content that streams into our houses through our computers and phones and TVs. Susanna and I have been talking about that a lot recently. She has noticed that in her classes, the other students will get lost into their smart phones instead of talking to each other. All her class assignments are to be electronically turned in via the college’s online portal. I can feel the pull at work. It is easier to send an email off and forget about something, than actually call someone. I can see it in the boys- if we let them, their days would revolve around using their electronics. But I don’t think work or even school is where the real problem exists. I think it is in our homes. The first think I used to do every morning was to check my iPhone. I would catch up on Facebook and email. Is my connection to the Internet so important that it is the first thing I check in the morning and the last thing I do at night? I have been starting to think that it should not be. As a family we have been pushing to take a little step back in time – to when we weren’t so connected. We have started having “no electronic” days. Susanna has been leaving her phone downstairs at night. I have been (sometimes with more success than others) trying to avoid checking my email all the time. Maybe our houses should be a refuge from the world that is overstimulated with media? Are we the only ones that feel this? What steps do other families do to limit the intrusion of electronics into their homes. And yes, I do see the irony of spending my evening on the Internet typing on how I am trying to limit using the Internet and electronics at home. Some of the most useful tools in my workshop are the tools that I have built. The “saw bench” is one of the tools that I use almost every time that I am in the shop. I have three currently in the workshop. One is sized for me to use when using a hand saw to cut lumber. Two are a bit shorter so the boys can use them. They are simple to build and used lumber I had sitting around the shop. 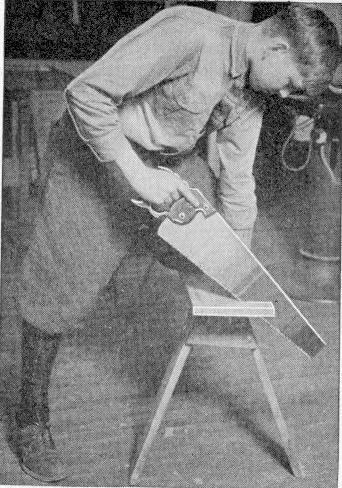 The primary purpose of the saw bench is to hold a piece of wood at the proper height for cutting. They are also good for using as a step stool to reach the top of the shelves in the workshop as well as a seat to sit on when taking a break. They aren’t too difficult to make. A quick search on the internet will turn up a bunch of easy plans. I would suggest that a matched pair of these would be useful in any shop. The first one I made was built as a project in the first semester of the Hand Tool School. 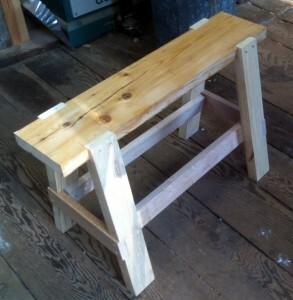 The last two were inspired from Popular Woodworking’s traditional saw bench article. I didn’t add the ripping notch at the end of the boys’ benches – I suspect that they will use them more like a traditional workbench for a while.